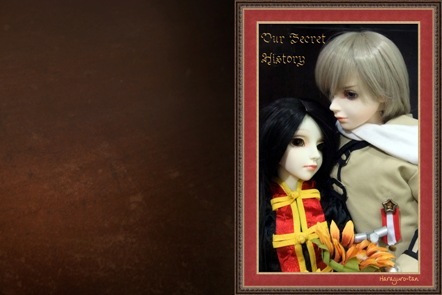 Rochu Novel and Illustration Fanbook - Our Secret History - Coming Soon! This fc2 blog will cease to update. Please follow its progress on the new website. The chinese version will be up soon. For those who have difficulty accessing it, here is a Baidu mirror: http://hi.baidu.com/haragurotan/home. I will add info to it soon. Those who responded to my interest check much much earlier, I'll contact you next week~ Thanks for your support! About: Things you never knew about Russia and China from your history textbooks. A compilation of short Rochu fanfics by haragurotan, both old and new, arranged in chronological order based on the time line of Sino-Soviet Relations. Stories are inspired by some major events in history, but are centered around the passionate relationship of Ivan and Yao. Genre: Romantica (Romance + Lemon), Mostly fluff with a wee bit of angst, and a Happily-ever-after ending. Approx. 100 pages for text, printed on white paper. Will be updated whenever there are new stories and illustration samples! Synopsis: Yao shields little Ivan from a beating when the latter burns their then-master Mongolia's dinner, igniting a passion that burns for centuries to come. Synopsis: Yao mistakes Ivan in a panda suit for a talking panda that's possessed by a deity. He asks 'The Great Deity Panda-san' for advice on how to kick the annoying Westerners out of his land and gets some very strange answers indeed. An extension of the official comic strip when Ivan stalks Yao in a panda suit. Synopsis: Ivan is hospitalized after jumping off a helicopter without a parachute. Yao visits him in hospital where they trade emotions and plans for the future. Synopsis: Ivan decides that the day of the official declaration of the Sino-Soviet Treaty of Friendship and Alliance is an appropriate day to bring their friendship one step further. No, make that several steps, da. My take on Ivan and Yao's first time together. Synopsis: Russian soldiers are in China to share their military expertise. Yao feels that their efforts are insincere and complains to Ivan. Ivan offers him a private coaching session, but it comes at a price. Synopsis: Relations between the Soviets and the Chinese have worsened and Ivan and Yao are caught in the middle. After years of hostility and verbal conflicts, they meet at battle along the Sino-Soviet border. Taking advantage of the little time they have together, Ivan desperately seeks to reaffirm his love for Yao. Synopsis: On Christmas day, the day of the dissolution of the Soviet Union, Ivan is preparing for his departure when Yao comes for one final visit, his first in decades since their split. They reminisce happy and unpleasant memories, burying the hatchet and re-bridging the unique connection between them. Status: To retake some pictures. Synopsis: Ivan has a special birthday present for Yao, and Yao has to go to great lengths to get it. Contains lemon, cheese and mush. First published on 1 October 2010 in commemoration of Yao's birthday. Synopsis: After centuries of difficult love, Ivan and Yao finally pledge their love for each other in the wedding chamber. On the bright side, I think I've successfully convinced a very good illustrator to draw the cover for the book! She draws covers for romantic Chinese novels and her illustrations are simply gorgeous! We're still working out the details but I'm confident that we can look forward to an epic cover! ^^ The reason for the postponement is also partially because she needs time to draw. Although I wish I could use my dolls' photos on my cover, I have to sadly admit that my photography and editing skills are not good enough to create the epic cover that I wish to have. To those who like my dolls (thank you very much <3), I'll still include photos of them in the book itself. Many thanks to those who have already indicated interest in the book! I'm really very touched, and I will consider making it available to more people. Do read more info about this book before you proceed. I'm looking for Rochu fans who are willing to contribute illustrations for free, for a free copy of the book + other memorabilia (see point 2 further down) in return, or deviant art points. 1) Book will be for myself, free for artists who did free requests and gift arts for the book, and free for select few people who have been supporting my stories with constant feedback and encouragement. 2) Postcards and prints of illustrations will be printed as special souvenirs for artists who did the free requests. 3) An ebook version will be available for free download / online viewing. 4) If there are other people who are interested in owning a physical copy of the book, but I do not know them well, they are expected to pay the base cost of printing one book + shipping fees. This is strictly a non-profit, non-commercial project. A page in the book will be set aside to credit all artists' artworks by desired name and url. I will consult all artists who contributed their art on how to write the credits before the book is sent for printing. Types of illustrations that I require are full-colour illustrations of fluffy/happy Rochu or NC16-R18 Rochu. Style-wise, I love Shoujo style, cute styles and chibis, but I'm willing to consider other styles. The final illustration is required to be at least 300 dpi, with dimensions of 17.6 cm x 25 cm so that it is a full-page illustration. Official Information blog for Our Secret History. 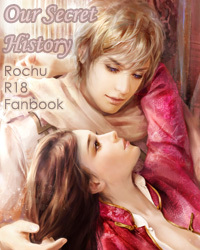 copyright © Rochu Novel and Illustration Fanbook - Our Secret History - Coming Soon! all rights reserved.